The Foulest Word in English is "Should"
If you've known me for very long then this post will not surprise you in the least. I've had a growing discomfort - and increasing dislike for this word for a while now. Should is the foulest word in English because when it's said by adults to adults - it's being said by people who don't want to think for themselves to those they don't want to think for themselves. That's gross. Should is intimately connected with comparison. "You should be more like So-and-So." for instance. 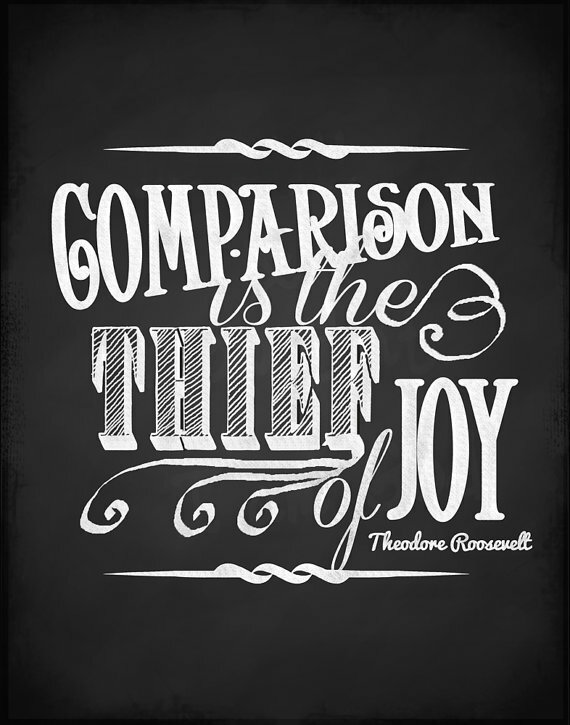 Comparison is the thief of joy they say. Whoever they are - on this one - they are right! I promise you - unless someone is taking time out to encourage you to be more like Jesus - and there are so many ways to specifically say so - there isn't anyone you should be more like - unless of course we include you yourself. I know they say "Be Batman" - but gimme a break ... Batman can't even get outta his cave before Jesus has whooped him from His! I do actually believe you should be more like your true self. I'd love that in fact. It'd be enormously encouraging to me as I pursue being more my true self - because - sometimes in the course of learning from Jesus how to be your true self - you have to learn to be okay with being a little weird. Seems outlandish for creatures with no ability whatsoever to create a human from scratch - just breath, dust and divine will - to suggest that we somehow just "know" to "fix" people. This is not in any way to disparage the very real and very awesome sorts of help offered by trained professionals to those seeking trained professionals of all stripes: Doctors, Counselors, Trainers, Coaches etc. - but rather to say that "should" is typically on first-name basis with Judgment - and doesn't spend much time with Authentic Assistance. Speaking of authenticity - should wants none of it. Authenticity is for those bold, adventurous types in possession of a sturdy back-bone. Should wants you to to squish yourself up into some tidy little mold. "Hey you! Square Peg! Get back in that round hole!" Thanks to it's connection to comparison and in-authenticity - Should amps up insecurity. Does that make you nervous? Hmmmmm? It should. Even worse - Should is antithetical to actual faith. Please tell me what leap of faith could, or would, ever should? Whip out your Bibles and read through Hebrews 11 - and tell me which of those people was doing what they shoulda. In my opinion - all of them - but that's because I believe in leaps of faith - and there's never been two alike. So don't sweat it if you mess yours up - or nail it - dare I say that there should be more coming? But - IMHO - the foulest stench wafting off that soul-withering word should comes from it's participation in contempt. And - let's go ahead and admit that it's entirely possible to use the word should without actually shoulding on anyone - so don't go and intentionally lose the point in a pile of legalism - this is not about the word. This is about the heart condition that throws the word around willy nilly. There is a reason for Jesus saying in the Sermon on the Mount that contempt is like murder. Contempt is actually guilty of murder-suicide though - because when I view another with contempt - I kill us both - at least a little. It doesn't take much of that before your soul starts to feel poisoned. I promise you - there is zero divine illumination about the glorious God-given unique calling He has for your life to be discovered using or living under the word should. If you want to walk in God's light - you're going to have to become something of a unique personality - a little weirdo if you will. Congrats! I think that is about the coolest thing possible that could ever happen to anyone anywhere!! What might you ask - does all this business about the word should have to do with the wrap-up week for months of study on Godly speech? Just this: I believe I can sum up every "don't" command in every verse about speech by eradicating contempt from my life. If you hold absolutely no one in contempt - not your enemy - not even yourself - a number of speechy-evils will simply be out of your reach. Now that's bliss. That's tricky isn't it though. Ever notice how seductive contempt is? Most pulpit banging and fist-pounding that goes on in churches, board-rooms, town-halls, bar-rooms and such - is all about contempt. Ever notice how un-seductive and unsexy humility is? Anger is seductive too - but calm takes work (at least for me). Perhaps that tells us everything we need to know about the capacity for those seductive vices to lead anyone to profound truth, or needful wisdom for humanity. So - don't should on yourself friend. Be forgiven. Be redeemed. Be wild. Be free - you awesomely singular weirdo you. August 30, 2017 /JC's Village C.C.M.